Bellier Financial and Bulletin, the UK-based communications agency known for its impressive rosta of clients and high quality content creation for the investment industry and academic institutions, are forming a strategic partnership to pool their resources, initially for the private equity and listed real estate sectors and associated services firms. The new platform will, with immediate effect, offer Bellier’s pan-European real estate clients access to a much larger team of specialist communications consultants and also powerful editorial content from some of the UK’s top-tier former business and investment journalists. In coming weeks, Bellier will also be announcing new appointments in the real estate public relations and investor relations areas in our London and Amsterdam offices. These will supplement our regional partnerships with Felhoff & Cie, the leading real estate communications agency in German-speaking markets, and Watatawa in the Asia-Pacific countries. Bellier has a representative office for North American markets in Washington DC. In coming months, we will also extend the work of our increasingly integrated public relations and content teams into servicing Bellier’s institutional asset management public relations business in the Netherlands, Europe’s second biggest private pensions market, where we are the largest agency by client AUM. 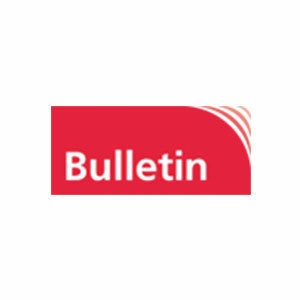 Furthermore, Bellier-Bulletin will examine the opportunities to integrate Bulletin’s deep content expertise in in-house graphic design and data analytics with Bellier’s digital marketing expertise for a complete multi-media client offering. Bellier-Bulletin’s training capabilities in media relations, simple and long-form story structuring and writing, corporate ethics, and introductions to real estate and financial markets, as well as other areas, are also to be combined.